The BBC Trust has today published a new framework that sets out the principles and requirements that the Corporation must follow when it looks to make its services on TV, radio and online widely available to audiences in the UK. But the Trust has said it recognises that "making [BBC] services available on every platform and device would not represent the best use of licence fee funds given the rapid pace of technological development." Should services be withheld from TV platforms or devices, the Corporation will be required to provide a "clear and strong justification." The Distribution framework takes account of feedback received from the industry in a consultation that ran earlier this year. It covers the distribution of TV, radio and online services, including iPlayer and Red Button services, to any device used to access them including TVs, radios, PCs, tablets, games platforms, set top boxes, and mobile phones. In particular the Trust says it expects the BBC to maintain "attractive, free to air options to access BBC services through DTT [Freeview] and DSAT [Sky and Freesat], keeping open its options for universal delivery of services in SD and HD, making provision for any future reduction in access to DTT spectrum [the reduction of Freeview frequencies at the end of the decade as a result of a sell-off of spectrum to mobile network operators], and continuing to innovate to ensure that all audiences benefit from these broadcast platforms." In its response to the consultation on the framework, broadcast infrastructure company Arqiva confirmed that there had been productive talks about making the DTT (Freeview) service an all DVB-T2 platform - a move that would enable the BBC to go HD only. Arqiva also pointed out that that Ofcom plans to implement a charge in the region of £10m per year per DTT multiplex (£20m per year for the BBC) from around 2020 onwards, a move that would act as an incentive for the BBC to streamline its presence on terrestrial TV - it currently operates two multiplexes to accommodate both HD and SD versions of its channels. 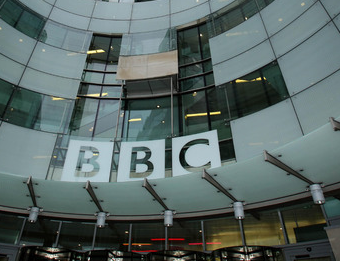 The RNIB said priority must be given to distributing BBC content over platforms that have accessibility functions built in, such as spoken menus for the blind. The VLV voiced its concern over the threatened reduction of terrestrial TV frequencies in the coming decade, and said that until the internet can fully emulate the quality of terrestrial TV, internet services "should not be given undue preference." The Trust has confirmed that online, "licence fee payers interests continue to be served by offering platform operators and others access to the full range of BBC content within a BBC environment via a standard product, currently [the] BBC iPlayer." Despite moves to premiere more BBC content online first, the Trust says IPTV is "unlikely to deliver more than 20% of all video viewing by 2020." Recent audience research commissioned by the Trust found that over two-thirds of people considered it was important that the BBC should continue providing its services on newer platforms such as the internet and mobile phones. The new Distribution framework comes into effect immediately and the BBC Executive must now engage with industry and develop accompanying guidelines setting out more information on how the framework will be implemented in practice. These will be subject to Trust approval.